Scenic pictures and portraits from Libya, Tunisia, Egypt, Libya and Jordan. Including the Pyramids at Gaza, Leptis Magna and the ancient 'Red Rose' city of Petra. 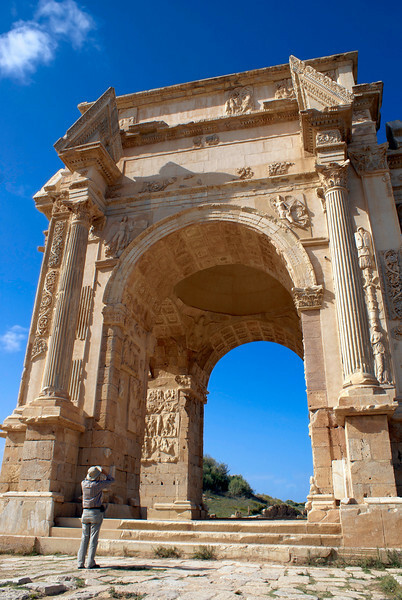 Wide angle View of the arch of Septimus Severus at Leptis Magna with man taking picture.